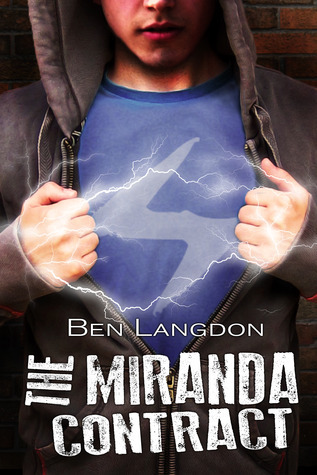 Please welcome Ben Langdon, author of The Miranda Contract to the blog! Supervillain. Pop Star.Sometimes the life we're given isn't the life we'd choose for ourselves. For the past five years, Dan Galkin has been lying to everyone about just how ordinary he is. But Dan's the grandson of The Mad Russian: one of the world's most powerful, and insane, supervillains. And Dan has powers too. He's a living battery, able to absorb and discharge electricity with his mind. Normally he keeps his powers hidden, but when the old man returns with an offer to make his grandson heir apparent, any chance at an ordinary life is blown apart. Miranda Brody thought she wanted to be a pop star, but now she's got the international profile and the entourage, she doesn't recognize the Miranda she has become. After getting caught up in the cross-fire between Dan and his grandfather, Miranda realizes there's more to life than being famous. Staying alive, for example, becomes a high priority. And not falling in love with the pizza boy comes a close second. Labeled by society, trapped by expectation. Dan and Miranda might actually be able to change everything. As long as they don't kill each other first. Ben Langdon is from Portland, Victoria, and when he's not writing, he teaches English and literature at the local high school, raises three children who are his favorite heroes-in-training, and enjoys reading. He mostly writes speculative fiction, particularly in the superhero or neo-pulp genres, but he also turns his hands to literary and mainstream short stories. Writing is a big part of his life, and one that he really enjoys. 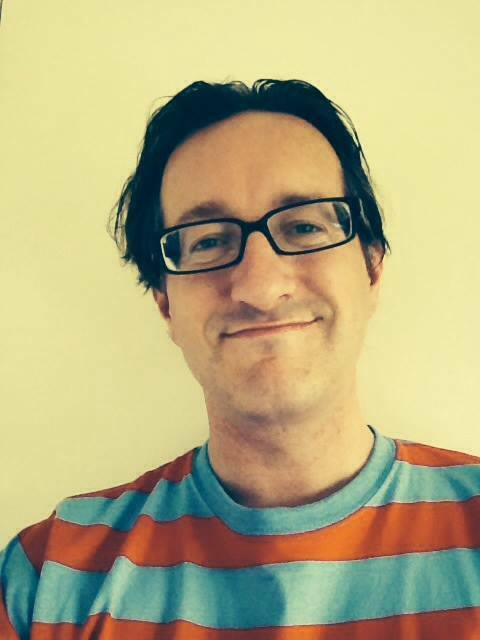 As well as writing fiction, he has also been a freelance columnist for The Age newspaper and the editor and publisher for This Mutant Life, a ‘zine for superhero fiction. 1. How did you know you wanted to start writing novels? I've always loved writing but never really thought I'd actually write a full-length, real-life novel mostly because I never seemed to have the time. There was school, the university, the work, then family… it was always a matter of "Just wait a few more years." The thing that changed my whole perspective on writing, that made me really commit to writing a novel, was NaNoWriMo. A couple of people at work agreed to do the 'Novel in a Month' and it was this community of writers struggling against deadlines, chatting about writing and actually understanding the process that gave me 'permission' to actually writ a 50,000 draft. The next year I signed up with the Victorian Writers' Centre in Melbourne and I enrolled in a writers' workshop with author and publisher, Paul Collins. The writers I met there are still my close-writing friends and their support and feedback helped me get The Miranda Contract into reality. 2. What was the inspiration behind The Miranda Contract? As a teenager I was a seriously obsessed comic book reader. I had pretty much every issue of The Uncanny X-Men and knew an amazing amount of trivia about the characters, the situations and creators. I still have a lot of that minutiae in my head. As I grew older I started to see the gaps in comics, the potential for deeper stories which was never really achieved. I wanted to know about the real lives of people with superpowers. To that end I started a short story anthology called 'This Mutant Life' which was pretty much full of stories about the secret, personal stories of superheroes and supervillains. The Miranda Contract is a part of a larger story, and I see the theme of the books relating to the relationships between parents and children. I'm a high school teacher and work with teenagers every day, so I've kind of on the front lines of this clash between what kids want and what society (and families) will let them have. I wanted to explore the pressures of family and reputation on a kid, and especially how they can throw off expectation and live their own life. There are a number of parent-child relationships in the novels, ranging from over-protective parents who hide their children from the world, through to those parents who exploit their children or neglect them altogether. Hopefully, readers can tap into their own adolescence and have a connection with the characters in The Miranda Contract. In the end, Dan shows that everyone has to make their own life – that the pressure of family and reputation can be discarded and that you can emerge unscathed. 3. If you could have any super power, what would it be and why? After writing about Dan and his control of electricity, I'm going to have to say it would be a great superpower. Being able to generate electricity as well as manipulate the existing energy around you would be a pretty cool ability, especially in our world full of surveillance, telecommunications and the rest of it. Taking it further, the control of electricity is also linked to manipulation of the electro-magnetic energy fields, so the potential for a wide range of impressive powers is pretty vast. I often ask my three kids this question, and I like their responses. My eldest son, Jack, is keen to take on the powers of animals. My daughter, Eliza, is more impressed with control over the four traditional elements (fire, earth, water and air), and my youngest, Luca, has an identity crisis sometimes thinking of himself as Lizard Boy – a kid who has the abilities of an acrobatic lizard. 4. Which character from The Miranda Contract was the most fun to write? I have to say Dan Galkin became a real person during the writing of this novel. Like the reader, I got to know Dan the most throughout the process and the things I put him through were really fun, as well as being traumatic and quite emotional, at times. He has a lot of growing up to do in the book and I think he does a good job with it. Apart from Dan, I really enjoyed the ambiguity of Halo. Hinting at his childhood and then his manufactured history when he arrived in Australia, helped make him a very complicated character. He isn't evil. He isn't good. The sequel to The Miranda Contract is called The Halo Effect, and it follows Halo's desperate moves to rewrite his life. I think the horrible things that happened to Halo, and the relationship he has with The Mad Russian, helps make the reader connect with him even if they are also horrified by some of his actions. I just hope the fun I had writing these characters comes through the writing. A friend of mine, Rob Rogers, wrote a superhero novel a few years ago called Devil's Cape. It was a real eye-opening moment for me and showed me that superhero books could work in the real world. Rob slipped in a number of cameos, including the names of his friends. I was honored with a town named after me - Langdon Forks. So, in return, I have embraced geekdom by slipping in a few friends, including Rob as the British Boy Band singer, Robbie Rogers. There are a bunch of others and I'm sure my friends will have a good laugh seeing themselves in print. The author is giving away 2 Hero prize packs! Each prize pack contains a copy of The Miranda Contract, a copy of the The Mutant Life (a short story collection), and a copy of The Mutant life: Bad Company. Good news! This giveaway is international, so anyone can enter! I would love to have the superpower to heal because I don't like seeing people who are hurt. That's a great power, Chelsea. I'm actually writing a character right now with that power. He is on a bad path but has a chance to redeem himself by becoming selfless. There's always a cost to healing though, and he has to take on some of the pain for it to work. Awesome too see you finally found the time to write a full length novel Ben! I enjoyed reading the interview! My power, if I was able to have one, would probably be the ability to teleport. If you've seen the movie 'Jumper' starring Hayden Christensen you will understand why! haha would love to have a read of The Miranda Contract sometime! G'day Ben! Stoked to hear that you finally found the time to write a full length novel. Sounds like a really good book, hopefully I win this comp so I can have a read. Anyway, keep up the good work Ben! I want the telekinesis power because I want to control things and be able to avoid accidents in my surroundings.. If I were to have a superpower, I would want to have energy vampire - ability to use other people's powers as their own when they are in contact with that person. I think any superpowers are good 'n cool as long as they're being used to help people, not benefit from them. Great ideas everyone. You should join together as a superhero team. What would you name your team?